We knew Disney Parks were going to be celebrating Mickey Mouse’s 90th anniversary this year at locations around the globe and today we got some more insights into the specific events that will take place leading up to the previously announced World’s Biggest Mouse Party. A celebration cavalcade for Mickey Mouse featuring some of his special friends and the Disneyland Band, starting at “it’s a small world” and pausing for a special moment at Sleeping Beauty Castle before continuing down Main Street, U.S.A., to Town Square. The party continues when World’s Biggest Mouse Party begins at Disneyland Resort in 2019. A special birthday dance party at Rockettower Plaza Stage in Tomorrowland. 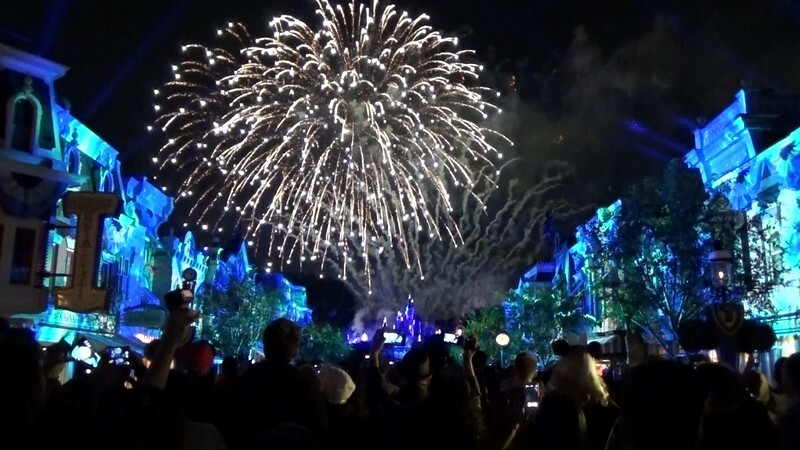 Then in 2019, Walt Disney World will continue celebrating when World’s Biggest Mouse Party comes to the resort. Will join the celebration when World’s Biggest Mouse Party takes to the seas in 2019. Kick off World’s Biggest Mouse Party with a brand-new Mickey-themed float at the opening ceremony of the Shanghai Tourism Festival on to commemorate the Shanghai launch of World’s Biggest Mouse Party. Guests will enjoy themed food and merchandise offerings as well as the opportunity to sing “Happy Birthday” to Mickey just before the nighttime spectacular show each evening, all culminating with a special nighttime birthday spectacular at Enchanted Storybook Castle on November 18. A giant birthday card will be installed next to “Storytellers” statue at Shanghai Disneyland featuring birthday wishes from Mickey’s pals. “We Love Mickey” projection show through February 2019. Special birthday stickers, available only on November 18. New holiday season entertainment and special surprises. “Mickey: The True Original Exhibition” will be an interactive art exhibit in New York featuring immersive, pop-up art exhibition inspired by Mickey’s status as a ‘true original’ and his global impact on popular culture and art. From his beginning in black and white in Steamboat Willie to the technicolor world of more than 100 cartoon shorts, exhibition guests will step into an unforgettable journey of Mickey moments reimagined. A star-studded celebration on ABC celebrating his anniversary. An extended-length birthday episode of Disney Channel’s Mickey Mouse animation shorts. Merch galore in Disney Stores around the globe including dozens of new books, arts and crafts and comics from Disney Publishing. Disney On Ice presents Mickey’s Special Celebration touring throughout the Asia Pacific region this year. D23 Destination D: Celebrating Mickey Mouse at Walt Disney World Resort this November for two days of panels, presentations and entertainment. It’s quite the celebration for everyone’s favorite mouse! What are you looking forward to most to celebrate Mickey’s 90th anniversary?